Search of minerals within our Solar system became new huge field of activity for the grand duchy. Perhaps, everything, than Luxembourg is known in recent years, is a bank secrecy and doubtful tax agreements. But the small European country applies for other glory: she wants to become the pioneer of mining in space. Through the state fund SpaceResources. lu the country invested 25 million euros (185 million kroner) in the American company Planetary Resources. It is one of two leading world companies developing methods of production of metals and mineral resources on asteroids of the Solar system. The state fund already got the equity in 1,5 billion kroner, and it shall turn Luxembourg into a global superpower in the field. Perhaps, it sounds as the science fiction about the far future, but the project can be realized soon, the CEO of Planetary Resources Chris Lewicki in the press release declared. “We plan to start the first commercial mission for conducting exploration works in 2020, and we expect a cooperation with our European partners in this important new area” — he emphasized. In the press release it is truly noted that presence of the western country at the list of owners is some kind of break for the innovative company in such speculative industry, the Danish-Norwegian lawyer Thorbjørn Lundsgaard who specializes in the space law and, in particular, in legal aspects of mining in space says. Only one still states showed bigger interest in an industry potentially capable to replace almost all production of raw materials on our planet. It is the USA which a year ago provided the first-ever state law on development of minerals in space. “It is surprising that they with Luxembourg — two states, seriously intended to invest billions in this industry. As quickly everything develops, madness is simple”. The expert not only tests enthusiasm, but also is afraid that the states can begin a race for possession of richness of space. The American law last year underwent to criticism when it became clear that it legitimizes any American activities for production of raw materials in an outer space if the American companies begin it the first. That is, the same principle which gold diggers of the past used works. As expected, Luxembourg will provide the similar law in 2017, reported SpaceResources fund. lu at the beginning of this year. But in the last decades the understanding that space belongs to all around the world grows, and use of space shall be for the good of all mankind. The Dutchwoman Tanja Masson-Zwaan, one of world leading specialists in the space law and the vice-chairman of the International institute of the space law spoke about it, in particular. Shortly before adoption of law last year she told Politiken that all population of Earth shall use richness of asteroids. Turbyyorn Lundsgor holds the same opinion. “Here we should add gas, and I don’t want to be an anti-capitalist. But now interests of all mankind were changed by the principle of a mill from the Wild West. I am afraid, in the future the industry is monopolized by the USA and a handful of other countries”. But riches are really high, and it isn’t subject to doubt. According to the Asterank database in which information on more than 600 thousand asteroids is stored the speech can go about the huge amounts. Taking into account the terrestrial prices of metals — tens of thousands of billions of kroner. Many asteroids in process of the Solar system faced with each other, and force of collision was such is that now their most part is occupied by kernels from the compressed metals. It means that they contain huge amounts, for example, of iron, nickel, cobalt. One of eight asteroids which development considers Planetary Resources now “may contain more platinum, than was ever got on Earth”, the company reports. On other asteroids there is a lot of ice that too is important as water can be used for fuel production. Flights in space and space colonies will become much cheaper if water and fuel can be extracted outside Earth. On the other hand, heavy expenses are coming. 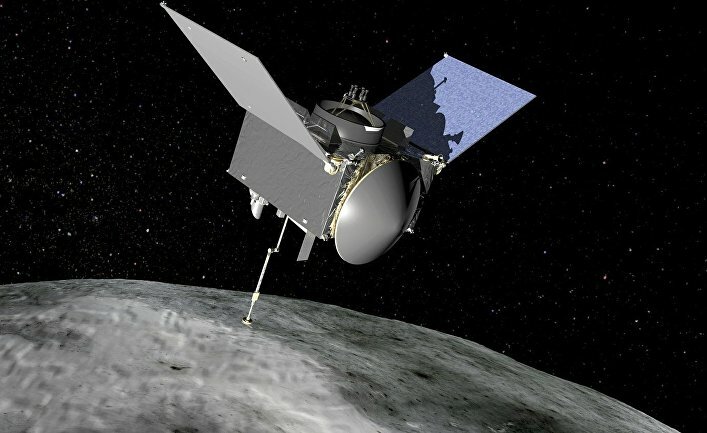 In September the NASA Agency started the robot UAV which by 2020 shall reach an asteroid to Benn and collect there about two kilograms of samples. A NUMBER OF MEDIA is reported that the mission will be extended seven years and will cost one billion dollars (6,7 billion kroner). But if it turns out to extract minerals in space, then technologies will strongly move ahead, and the prices will fall. If the project is successful, then the profit will be astronomical if it is possible to be expressed so. It wasn’t succeeded to receive the comment from the government of Luxembourg. However the Minister of Economic Affairs and the Deputy Prime Minister Étienne Schneider reported to the press that investments into Planetary Resources “show commitment of the government to support of a national space industry of Luxembourg due to attraction of innovative activities in the field of use of space resources”. Also it isn’t staked on only one of two probable candidates. In May the government signed the agreement on cooperation with the second large American company innovator — Deep Space Industries though about direct investments the speech doesn’t go yet. In the 19th century gold diggers usually took a pick and a tray for washing and went to desert regions of North America, South Africa, Australia. Their colleagues from the 21st century gather in much longer way.